The CBC News scholarship program is open to B.C. students enrolled in, or recently graduated from, a journalism program. The program aims to strengthen B.C. based talent and to open doors for a diversity of voices. The opportunities are endless! The program lets you explore everything from television and radio producing and reporting to writing news for the web. You will have the opportunity to work with Canada's top journalists which will give you an edge in getting your career off to a solid start. Send us a letter introducing yourself, current resume, transcript of marks, a written or verbal recommendation from a professor, a journalism portfolio from any media and a 500-word essay on the following topic: Which Canadian journalist would you describe as a role model and why? Send us your application by February 14, 2014. 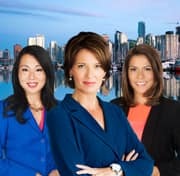 The successful canidates will work in the CBC Vancouver newsroom for 3 months this summer. CBC News draws on the expertise of television and radio bureaus across Canada and a strong resource base of foreign bureaus. The Canadian Broadcasting Corporation is Canada's largest cultural institution and it belongs to all Canadians. We tell Canadian stories reflecting the reality and diversity of our country, inform Canadians about news and issues of relevance, and support Canadian arts and culture. We are the only broadcaster offering services to all Canadians in English and French across Canada. "This is one of the BEST opportunities anywhere for young journalists. You get tremendous hands-on experience in all areas of the business from radio to TV, news to current affairs and you get it all. You are also working with some of the best people in the industry. It has been a far more valuable experience than I could have ever imagined." "I was exposed to nearly all facets of television news and research, producing, special projects and on-air reporting. The program is excellent." "One of the most daunting tasks for any journalist is landing your first job. This program is an unparalleled opportunity to begin your career with one of the best news organizations in the world. You'll find out exactly what you love to do in the news room and where your skills are best applied."